But… sometimes convincing your boss to invest in influencer marketing can be a bit of a challenge. You maybe excited about the prospect of Traverse 18 and already know all the value you’ll get from it, but how do you convince the boss? Well we’ve got an email template to help you to outline the benefits of attending Traverse 18. You can copy, paste and customise the following email and send it off to your boss. It’s easy! As you’re aware, keeping up on the latest social media, digital content creation and influencer marketing is key to our team’s success. It’s an area of marketing that has been constantly evolving and changing and I believe we need to make sure we’re on the cutting edge. 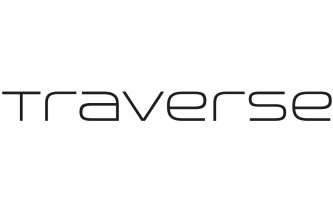 Traverse 18 on the 26th and 27th of May 2018 is a two-day conference with a week of mini events starting on the 21st of May. It’s a conference packed with networking opportunities, classes and practical sessions in Rotterdam. I think it’s a great opportunity to learn and connect with online content creators. Some of the biggest online influencers will be sharing their expertise. There will be workshops on a whole host of topics, including Instagram, Youtube, Video, Branding, Podcasting, Writing, working with bloggers, storytelling and many more! There’s also invaluable networking opportunities in the form of welcome parties and networking events in the week before the core conference. An industry ticket is currently £299 (excluding VAT). This includes 2 full days of learning from 10+ digital experts, networking with amazing creatives and access to many of the week mini events in Rotterdam. Thanks for considering my attendance to this educational event. With your permission I’d love to secure a ticket to the conference. Please let me know your decision as soon as possible.